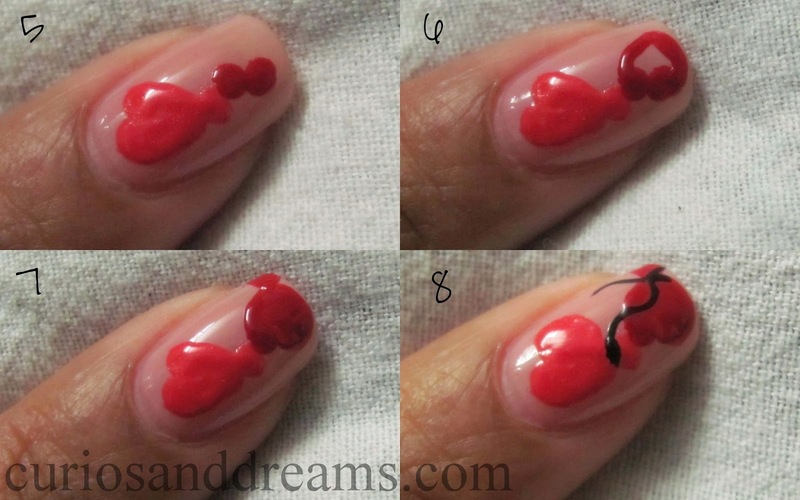 Curios and Dreams | Makeup and Beauty Product Reviews : Valentine's Day Heart Balloon Manicure! We did a red base one last year, so this year I wanted to try something different, and what better than pink? Paint your nails with a soft baby pink colour. We used Maybelline Colorama in Astral. 1) Take a toothhpick and dip the flat end in coral/orange nail colour. 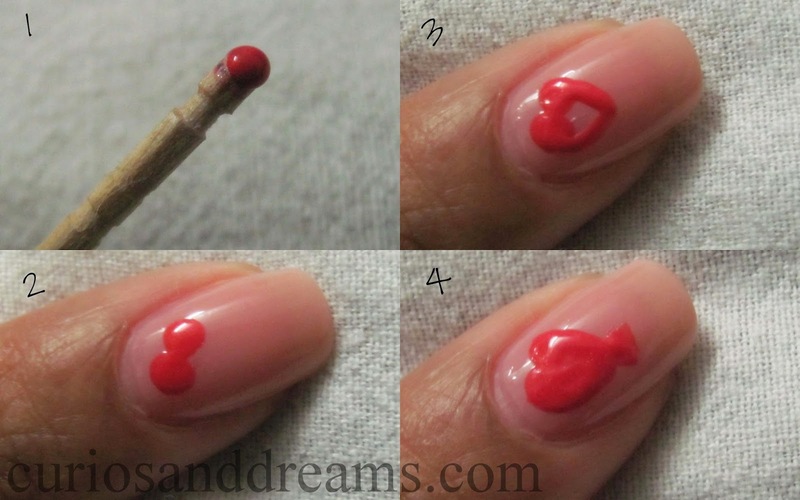 2) Use the toothpick to make two dots on your nail like shown below. 3) Now use the tip of the toothpick and drag the polish downwards from both the dots, at the angle you want. You get a heart outline now. 4) Fill in the heart. Use the toothpick to draw a triangular shape below to make a heart balloon! 5-7) Use the same method to make a red heart balloon below. (Make sure to wipe the toothpick clean first). 8) Clean the tip again and use it to draw strings with black polish. Let the mani dry and finish off with a clear top coat. DONE! You have to try this one out. It looks super pretty and isn't that difficult either! What do you think?? Will you try it?